Our second Saturday evening edition of our popular 50 Lap Rent to Race series. 6:30 PM to register, 7 PM practice, 8 PM green flag, 8:45 PM wrap up and trophy presentation. Usual advice; call 608-897-2898 to reserve, or book on-line. 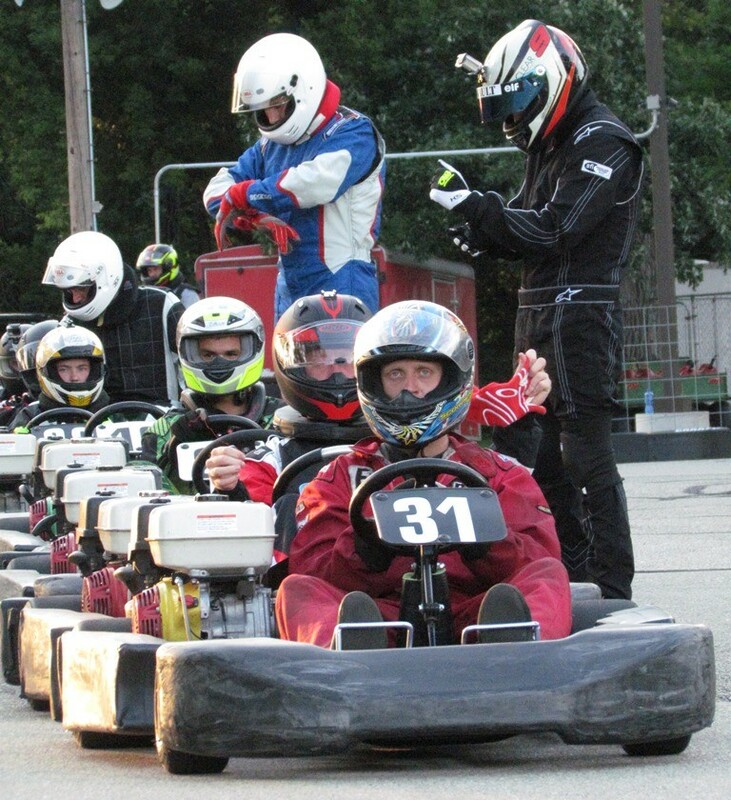 All classes + Kid Kart will run the full 17 week/race schedule. Drivers will have three throw outs to use, as 14 races will be counted for season points. If weather keeps us from getting 17 races completed, we’ll still use three throw outs. Lowest point days will be dropped if more than 14 races are run. Bonus points cannot be separated from race day points for throw out purposes. Season points championships will be contested in Kid Kart (both Comer and Honda) All Honda classes and all Briggs LO206 classes. Bonus Points: Racers that participated in the Box Stock 100 Lapper in 2017 will receive 50 bonus points in their 2018 class. Opening day has an extra 100 bonus points. The Red, White and Blue races are double points. The season championship race is also double points. Rain days will be made up on open Sundays and/or we will run double race days on another scheduled Sunday date.